So... if "learning disability" isn't just a nicer word for "unintelligent," then what is it? "A learning disability is nothing more than a different 'wiring' of the brain," explains our Club Z! spokesperson and Franchise Director Cari Diaz. While a learning disability can't be "cured" or "fixed," children given the right help can succeed and thrive in school. (Did you read that, parents? Feel free to clap and jump for joy!) Club Z! tutors are trained in current and effective techniques and can provide specialized after school tutoring in Katy for students with learning disabilities. Diaz says, "By working with the [children's] differences instead of trying to teach against them, children with learning disabilities can be just as successful as their peers." Find a tutor near you in Katy who is experienced and comfortable tutoring students with ADHD or learning disabilities. Designing tutoring for students with learning disabilities and ADHD, and figuring out how to help ADHD and LD students is an art. Club Z! tutors have experience providing after school tutoring students with ADHD in Katy and they have experience tutoring students with all types of learning disabilities! Club Z! tutors know how to motivate students and give them the tools they need to improve in school. The right tutor will understand how to customize in-home tutoring sessions to fit your child's disability. Beating the stigma starts with the students first, then their families, and then with specialized after school tutoring for Katy students with learning disabilities. Then, find the right specialized after school tutoring for students with learning disabilities in Katy. Don't just find a tutor for your child. Find the right tutor! right tutor will not think of your child as less able than non-LD students. The right tutor will understand that your child is smart enough to be a high achiever in school! At Club Z!, we're used to tutoring students with ADHD and LDs. 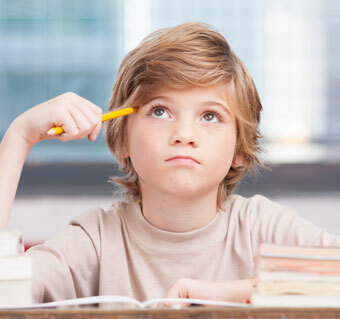 We don't only provide top quality tutoring for students with learning disabilities and ADHD, but we also pride ourselves on motivating students, building their self-esteem and knowing how to help ADHD and LD students reach their full potential! If your child is having trouble understanding that her ADHD or LD is not related to intelligence, you may need to explain this in a way that she understands it more clearly. After tutoring plenty of LD students and tutoring students with ADHD in Katy, we know that it can be challenging to explain this to younger children, especially.